This was the second time in ten years I have used this company. Perry and his team did an excellent job on both occasions. His price was fair and completed in record time. I highly recommend him. Flat roof and reroofing the whole house wood and shingles, it only takes three days fo finish all professionally. Whenever any minor question they will response to it immediately. I am very happy with their work and will recommend them to everyone. Roofing the job. It's been over a year now and we haven't had any water coming into the house. Very happy with the work Perry and his crew did and would highly recommend his company. Thank you John for taking the time to write us the great review . The reason why We are able to find the source of the problem was because We get to see the problem first hand . And if we haven't solve it the first time , then people will call and let us know that it didn't work. . If You abandon the customer and never go back then you will never learn much . And we don't abandon our customers . Thank you for your job and convidence in us . It was a pleasure working for you. Thanks for the great review . Sometimes my price may seem higher than another's cause once you factor in the extra time and services that the others hasn't included in their price then people can understand why my price is sometimes higher . Once you factor in the extra service then I would be cheaper and best value of all and I strive to it the best value for your money . Thank you again for the great review and for your business . In short: happy with his workmanship. Perry stands by his work on the quality and on the thoroughness. They got the job done, and then some, and cleaned up. High quality materials went into replacing my flat roof with 2” insulation and the many protective layers. Underneath the two old roofs, he found and showed us the rotten wood that needed replacing. Negotiated a fair extra cost for the 18+ more man-hours to fix it all. Throughout the project he let us on the roof to see the various stages of his progress and to show us when the bathroom vent was to be installed. We appreciate such wonderful customers like yourself and Thanks for taking the time to write this great review . Hope all is good with you and your family .. all the best . Perry and his team did my front porch roof, third floor shingles and eavestroughs in 2017. He gave me a fair quote and they did a great, efficient job. 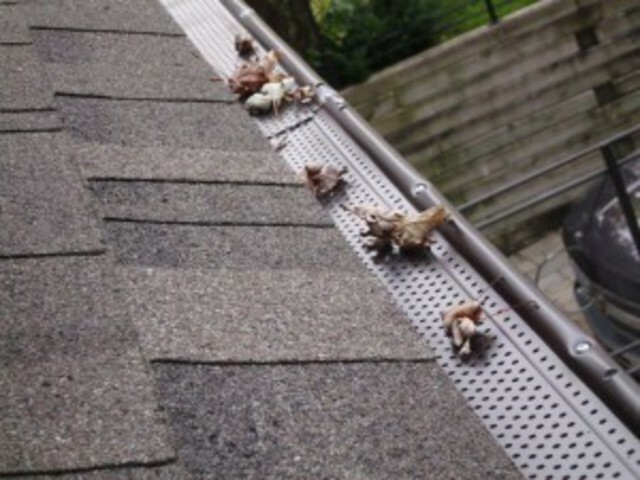 I found many roofers don't do eavestroughs but Perry does both and that saved time and money. I had his team over again this year for a flat roof and once again they did a solid job. Two of my neighbours hired him too after seeing the work he did on my place. garage and to re-shingle my house. and after they were finished they did a complete clean-up. To date there have not been any leaks or any shingles blown off. I am glad to hear everything work out for you .. thank you for the great review . Hope you found somebody for your snow removal, sorry I couldn't be of assistance . Thank you for your business . Assured Quality Roofing for the win! I had Perry and his team do my roof and they did such a great job. I then had them do my parents roof and again, an outstanding job. I called Perry recently to report my parents' skyroof was leaking. Perry came out right away and fixed it with NO CHARGE. This was not in their scope of work but he did it as a customer service. What a relief! Leak stopped right away. Thanks so much Perry!!! I will continue to recommend your services to friends and family! Thanks Tracy for the great review and recommending your parents . The skylight was pretty old and so glad we were able to solve your issue. When you eventually change the skylight we are a phone call away . Keep your friends and relatives leads coming (lol) it was a pleasure working with you. Thank you for the prompt payment ..Have a great New Year . Our flat roof was damaged during recent wind storms. Perry and his crew stripped off 5 layers of old roofing and installed a new roof in two and a bit days. It was a very messy job but they all worked diligently even into the evening both days and did a great clean up. I wouldn't hesitate to recommend them. We appreciated both Perry's explanations and advice and his positive and friendly demeanor. Thank you so much the great review !! We appreciate your business and hope you will recommend our company to your family and friends .. The fact that I am giving Perry full marks, speaks volumes, because it took me quite a while to nail him down and finally get the job done. That being said, when we first me I was impressed by his apparent honesty and integrity and was prepared to wait until he could get to the job. That did take a long time and was very frustrating, however it ultimately got done very professionally and cost effectively. Perry was clear from the outset that we didn't need a new roof (unlike Jack Atlas Roofing), just some repairs made to area's of original shoddy workmanship. Its been pouring rain for the past day and no sign of leaks. Highly recommend (if you can nail him down). We are usually much quicker Gavin but due to two wind storms and one ice storm so many people were in desperate need. So I had to prioritize people with the biggest issues first. Being that we don't sub contract to others it took me some time to get to you. Thank you so much for your patients and the great review. See you in a few years when you're ready to change the whole thing. 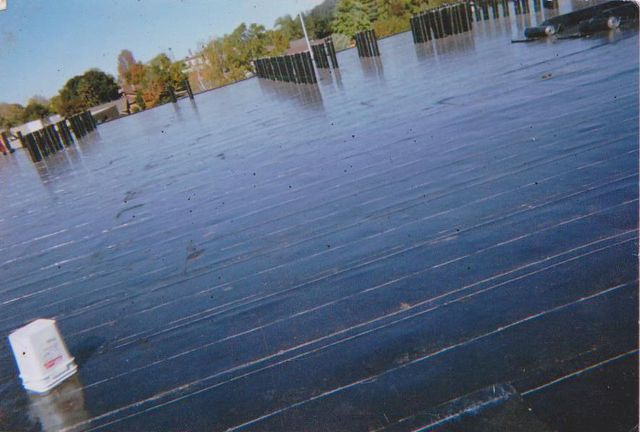 Assured Quality Flat Roofing provides roofing and eavestrough services in the GTA for residential and commercial clients. Exceeding Ontario’s building code standards. Excellent customer satisfaction 25 years. The reason people choose us over any of our competition is simple; We use the best materials, tradesmen and deliver the best in service and quality. Our tradesmen are paid according to the quality of work, rather than on the speed with which they do the job. This insures top quality over a speedy job. It is far more important to us to do the job correctly and have a happy customer who recommends us to their friends. You have our guarantee that we will do the job right the first time. We never settle for the minimum building code standards, it doesn’t cost a lot to go from a minimum building code standard to exceeding the building code standards. The owner is on every job site and has personally over seen thousands of jobs to a successful conclusion. You will be talking directly with the owner about the work you want done and any of the concerns you have. We also have a list of previous customers should you wish to have references.